The policy began to be scrutinised by a senior judge in 2012, but that oversight was also kept secret and David Cameron, then the British prime minister, instructed the judge that he was to examine only the operation of the policy, and offer no opinion on whether or not it was lawful. The existence of the secret policy, referred to in court as the “third direction”, emerged by chance earlier this year during litigation that challenged the British government’s domestic surveillance powers. It allows MI5 officers to permit their agents – people from outside the agency whom they have recruited – to commit crimes in order to secure or maintain access to information that could be used to prevent other offences from being committed. The order was first issued in 2014 and consists of just three sentences. It was renewed in 2017 and signed off by Theresa May, the current prime minister. That policy is itself now being challenged, in a case that opened on Thursday at the Investigatory Powers Tribunal, a court that provides legal oversight of MI5, its overseas intelligence counterpart MI6, and the UK’s signals intelligence agency GCHQ. The challenge is being brought by two London-based NGOs, Reprieve and Privacy International, and two in Northern Ireland, the Pat Finucane Centre and the Committee on the Administration of Justice. They argue that the policy is unlawful. Their legal counsel, Ben Jaffey, told the tribunal that different versions of the policy had been operating since the 1990s; that it is still in place today; and that “the police and prosecutors will never be able to know when it is being activated”. A heavily-redacted copy of the policy document that was disclosed in court says there are circumstances in which “it may sometimes be necessary and proportionate for agents to participate in criminality” in the interests of national security. The tribunal heard that David Cameron wrote to the judge who was tasked with providing legal oversight of the intelligence agencies, Sir Mark Waller, in November 2012, to inform him that “the Security Service has a long-standing policy for their agent handlers to agree to agents participating in crime”. He added that “for the avoidance of doubt”, Waller’s oversight “would not provide endorsement of the legality of the policy”, and would not offer an opinion on the prosecution of any agents. Cameron wrote the letter one month before he informed the UK’s parliament that an official inquiry into the 1989 murder of a Northern Ireland lawyer, Pat Finucane, had discovered what he described as “shocking levels of State collusion” between the loyalist paramilitary killers on the one hand, and MI5, the police and military intelligence on the other. Finucane was shot 14 times by gunmen who burst into his home while he was having Sunday dinner with his wife and young children. The case before the tribunal is expected to last many months, or even years. It will be watched closely in Northern Ireland, where evidence has begun to emerge showing that agents of the police and intelligence agencies committed enormous numbers of serious crimes during the 30-year conflict between the late 1960s and 1990s known as the Troubles, without being brought to justice. Jaffey, the lawyer, raised the Finucane murder and also the case of Freddie Scappaticci, who was said to have been involved in kidnap, torture and murder while he was on the payroll of the British government at the same time as being a member of the IRA. Scappaticci, now in his seventies, was also known as “Stakeknife”. There is less secrecy surrounding the manner in which British intelligence officers are authorised to commit crimes outside of the UK. Section 7 of the Intelligence Services Act, a piece of legislation dating back to 1994, is said to “disapply” UK criminal and civil law, as long as a senior government minister has signed a written authorisation. The section is sometimes known as the “James Bond clause”. 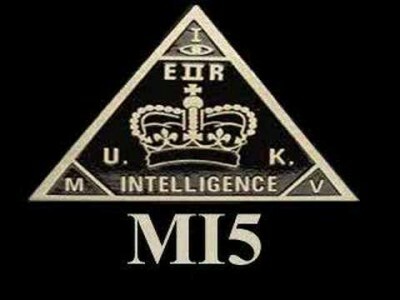 “We want to know if it’s government policy to let MI5 agents get away with serious crimes such as torture and murder. “While our intelligence agencies have an important role in keeping this country safe, it does not follow that agents can be permitted to break the law without limits.